The surge generator PG 6-500 is a combined impulse-current-/impulse-voltage generator (combination wave generator) which, for high-impedance loads, RL > 100Ω, delivers a standard impulse voltage with waveform 2 / 10 μs and, for short-circuited output, a standard impulse current with waveform 2 / 10 μs. The Combination Wave Generator PG 7-250 is a combined impulse-current-/impulse-voltage generator which, for high-impedance loads, RL > 100Ω, delivers a standard impulse voltage with waveform 1.2/50μs and, for short-circuited output, a standard impulse current with waveform 8/20μs. The Combination Wave Generator PG 10-504 is a combined impulse-current-/impulse-voltage generator which, for high-impedance loads, RL > 100Ω, delivers a standard impulse voltage with waveform 1.2/50μs and, for short-circuited output, a standard impulse current with waveform 8/20μs. The Combination Wave Generator PG 12-804 is a combined impulse-current-/impulse-voltage generator which, for high-impedance loads, RL > 100Ω, delivers a standard impulse voltage with waveform 1.2/50μs and, for short-circuited output, a standard impulse current with waveform 8/20μs. 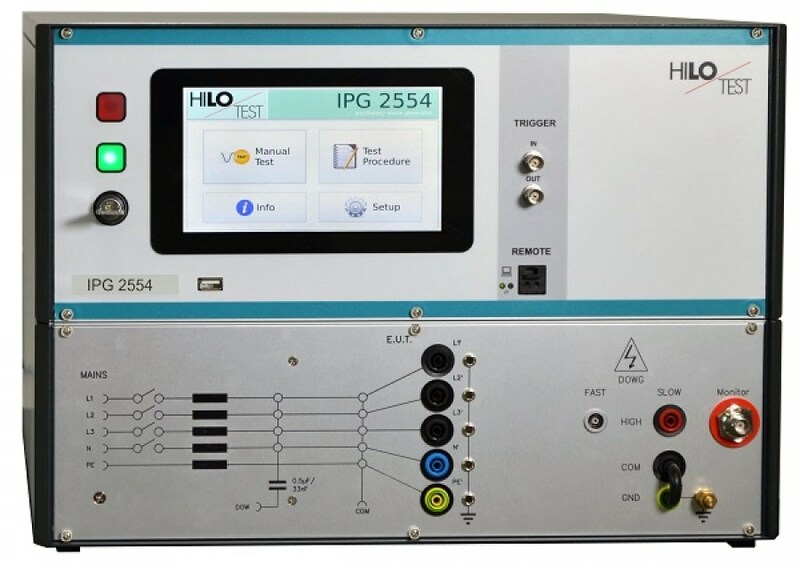 The pulse generator IPG 250 is designed for measuring the step response of high-impedance networks, for instance voltage dividers, oscilloscope probes etc. The generator excels by calibrated adjustment of output amplitude, short rise time and flat pulse top. The output pulse amplitude can be adjusted by use of a 10-turn potentiometer from 0 to 250 V. Positive and negative polarity can be selected. 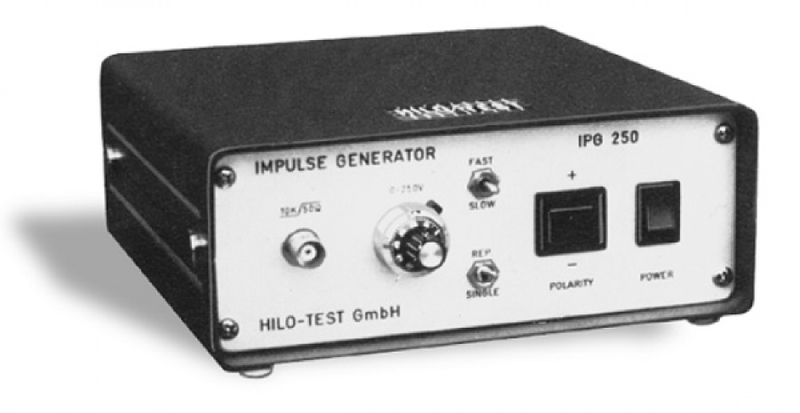 The Combination Wave Generator PG 12-400 is a impulse-voltage generator which, for high-impedance loads, RL > 500Ω, delivers a standard impulse voltage with waveform 1.2/50μs. 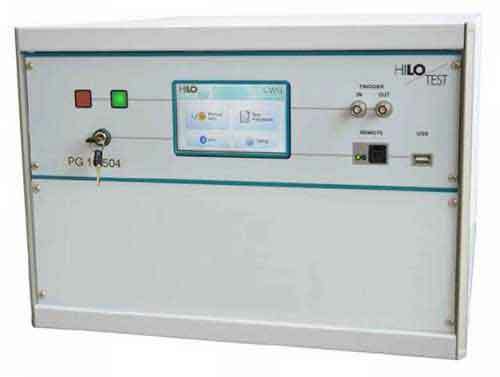 The oscillatory wave generator IPG 2554 has been designed for immunity testing of electrical and electronic equipment against repetitive damped oscillatory waves according to IEC 61000-4-18 requirements. High-voltage pulse generator producing Ring Wave 0.5 μs / 100 kHz acc. to IEEE 587. The output peak voltage can be preset continuously from 0.2 - 6 kV. Rise time 0.5μs to the first peak, ringing frequency 100 kHz. 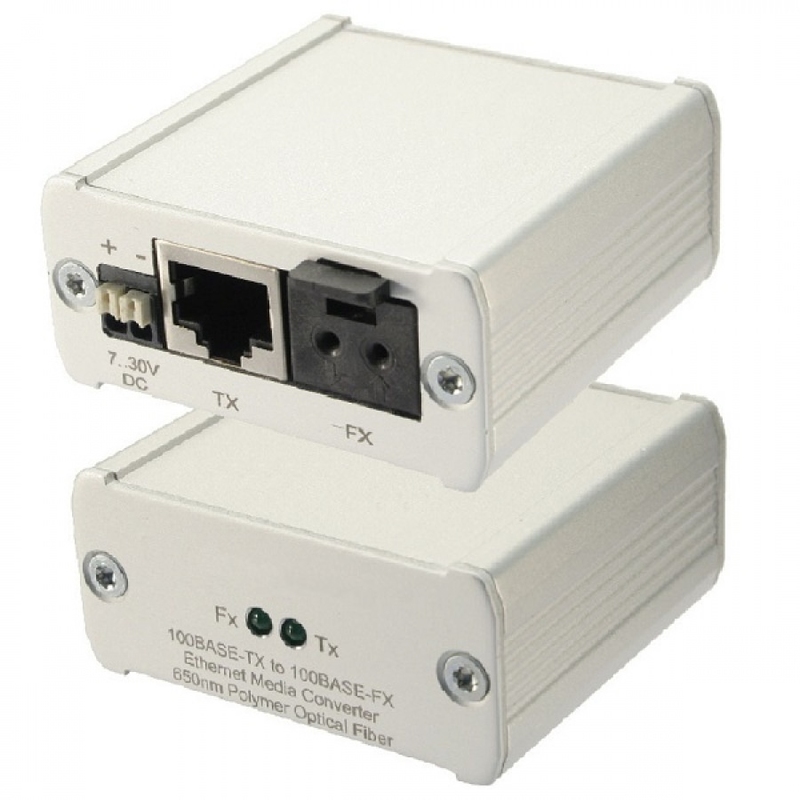 A built-in voltage divider allows monitoring of the output voltage waveform. The generator comprises an electronically regulated high-voltage power supply, an energy storage capacitor, a high-voltage/high-current switch, a pulse forming network and a control- and monitoring unit. Moreover, the generator includes a Coupling-/Decoupling Network (CDN) for single-phase power supply lines. 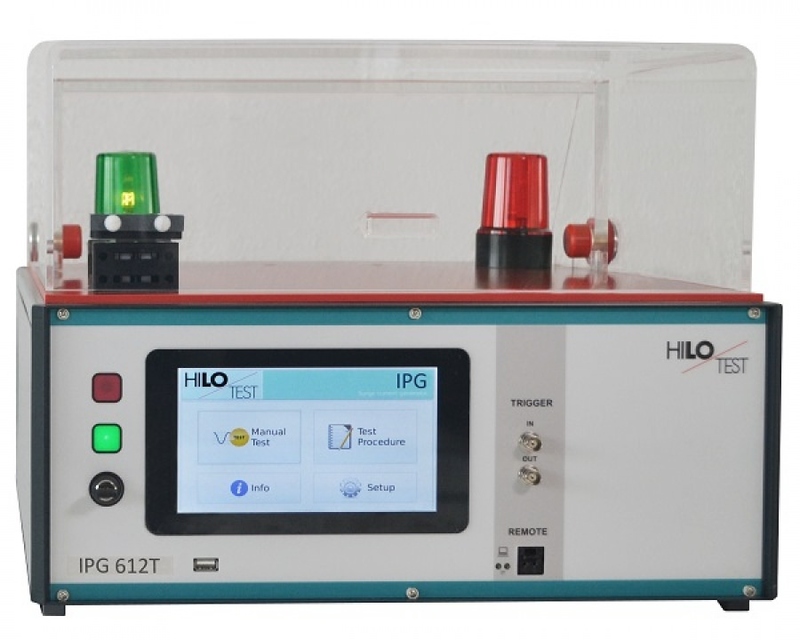 The oscillatory wave generator IPG 2553 has been designed for immunity testing of electrical and electronic equipment against repetitive damped oscillatory magnetic field according to IEC 61000-4-10 requirements. 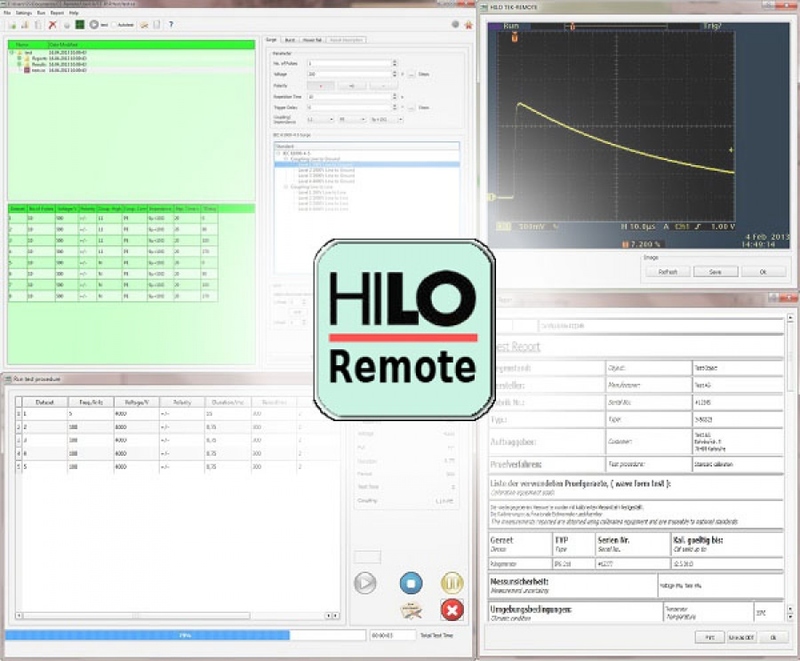 Hilo Remote Control is a software for personal computers. 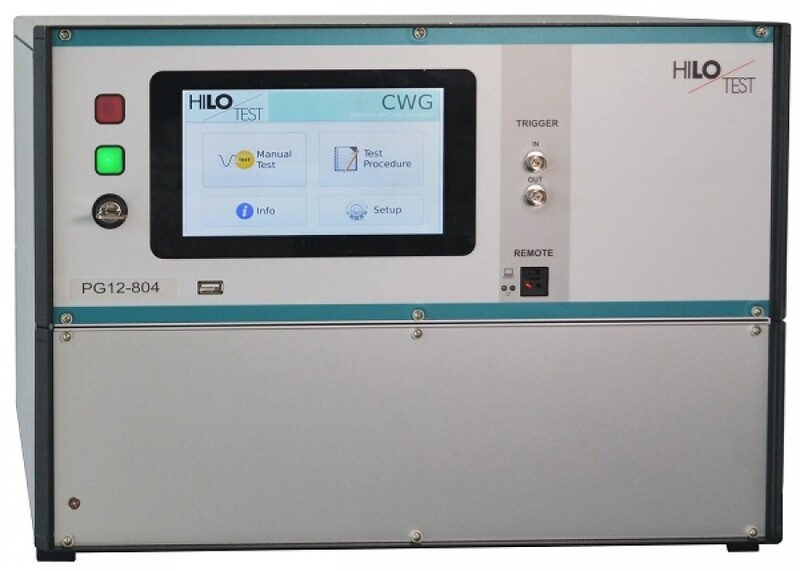 It is used to control HILO-Test generators from your computer. 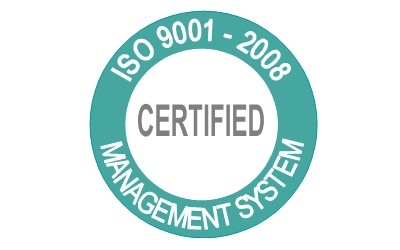 The software allows users to create tests and reports, which can be changed with your default text editor. 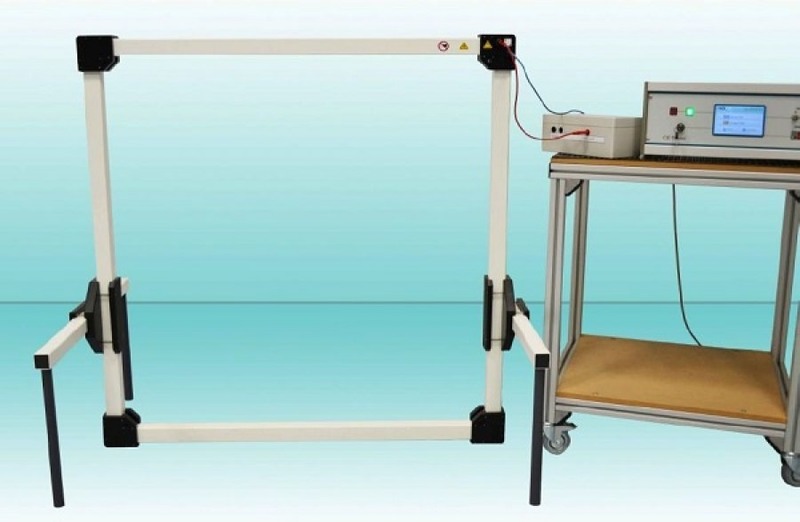 In addition, it allows an oscilloscope to monitor all test pulse and to store the captured image of the wavefomrs on the computer. The communication with the generator is implemented with a LAN connection. The generator is connected via an optical interface. Thus, the PC is completely disconnected from the generator. Hilo Control allows to control a generator over the instruction sets. The communication with the generator is implemented with a LAN connection. The generator is connected via an optical interface. Thus, the PC is completely disconnected from the generator.